The DTaP vaccine is a combination vaccine used to immunize young children against three different infectious diseases: diphtheria, tetanus, and pertussis (whooping cough). It should not be confused with the DTP vaccine which immunizes against the same diseases but is no longer used in the United States. Similarly, the TDaP vaccine covers the same diseases but is only used for older children and adults. The DTP vaccine has been around since 1949 and was one of the first to combine multiple vaccines into a single injection. It combined the pertussis vaccine (created in 1914) with the diphtheria vaccine (1926) and tetanus vaccine (1938). The DTP marked a major turning point in the prevention of these illnesses, reducing the annual incidence of whooping cough alone from 200,000 in the 1940s to just over 20,000 today. Despite its success, the side effects of the DTP vaccine led to a gradual decline in its use, leading to an increase in infections and fatalities by the end of the 20th century. To address these shortcomings, scientists developed a safer version in 1999 known as the DTaP vaccine. The "a" in DTaP is more than incidental. It is used to describe the acellular pertussis component of the vaccine. An acellular vaccine, by definition, is one in which a component of a contagion is used instead of a whole, inactivated cell. While many whole-cell vaccines are safe and effective, the use of the entire contagion means that they are among the crudest of all vaccines. In the case of pertussis, the outer shell of the bacteria is comprised of fats and polysaccharides which are endotoxic, meaning they can cause a generalized, all-body inflammation. For this reason, children given the DTP vaccine were sometimes known to experience high fever, febrile seizures (fever-related convulsions), and even fainting. The DTaP vaccine, by contrast, only contains the antigenic components of the cells. Antigens are the proteins which the immune system uses to identify and launch an attack against harmful substance. (Think of them as the "scent" of contagion rather than contagion itself.) By removing the endotoxins and using only antigens, the DTaP vaccine can spur immune response with far fewer side effects. It is for this reason that the Centers for Disease Control and Prevention (CDC) recommended that the DTP vaccine be replaced by DTaP in 1996. Diphtheria, tetanus, and pertussis are all diseases caused by a bacterium which, if left untreated, can cause serious illness and death. Diphtheria and pertussis are spread from person to person. Tetanus enters the body through cuts or wounds. Diphtheria is caused by the Corynebacterium diphtheriae bacteria. It is easily spread through coughing, sneezing, or direct contact with a contaminated object, such as a toy. Two to three days after exposure, the toxins from the bacteria can cause respiratory symptoms (including a thick, gray coating in the nose or throat), weakness, swollen lymph nodes, and fever. If it enters the bloodstream, it can damage the heart, kidneys, and nerves. Tetanus is caused by the Clostridium tetani bacteria, the spores of which are found in soil, dust, and manure. The contagion enters the body through broken skin, often when the skin is punctured by a contaminated object such as a nail. Tetanus is often called "lockjaw" because it can cause the severe tightening of the jaw muscles. This can lead to serious health problems, making it difficult to breathe and even swallow. Pertussis is caused the Bordetella pertussis bacteria which attaches itself to tiny, hair-like projections (called cilia) which line the upper respiratory tract. The bacteria release toxins that not only damage the cilia but cause the airways to swell. Like diphtheria, pertussis is spread by coughing, sneezing, or simply being in the same airspace for an extended time. Symptoms appear within five to 10 days of exposure and may include low-grade fever, apnea (gaps in breathing), vomiting, fatigue, and a characteristic, high-pitched "whooping" cough. Pneumonia can also develop. Because their names are so similar, people are uncertain if they need the DTaP or TDaP vaccine. Moreover, there are also the DT and Td vaccines, which are used to prevent only tetanus and diphtheria. DT is recommended for children under seven in whom the pertussis vaccine is contraindicated (usually because there has been a previous allergic response). 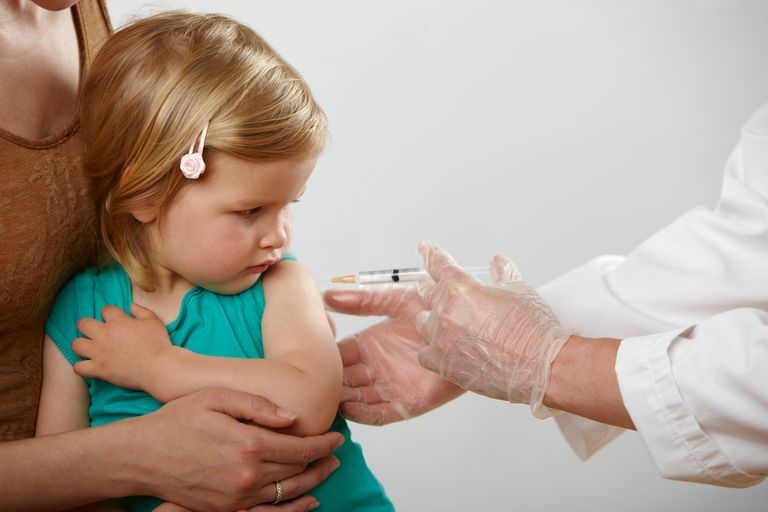 TDaP is a booster vaccine given to children over seven and adults and requires fewer antigens to boost protection. Td is booster vaccine given to adolescents and adults who may be at lower risk of pertussis. The DTaP vaccine is marketed under the names Daptacel and Infarix. The TDaP vaccine is marketed under Adacel and Boosterix. Meanwhile, the Td vaccine is sold under the name Tenivac, while the DT vaccine is available generically. There are also combination vaccines that protect against these and other diseases. They include Kinrix (DTaP and polio), Pediarix (DTaP, polio, and hepatitis B), and Pentacel (DTaP, polio, and Haemophilus influenzae type b). For infants, five separate shots are scheduled at two, four, and six months, between 15 and 18 months, and between four through six years. A booster dose of Tdap should then be given when the child is 11 to 12. A Td booster can then be given every 10 years thereafter. For adults who have not been immunized, a single TDaP shot can be used. A booster Td shot should then be given every 10 years. Additionally, pregnant women should receive a single dose of Tdap, preferably at 27 through 36 weeks gestation. Symptoms tend to develop one to three days after a shot and are more common after the fourth or fifth injections. Swelling will usually resolve within one to seven days. Less commonly, vomiting can occur. Centers for Disease Control and Prevention (CDC). Diphtheria, Tetanus, and Pertussis Vaccine Recommendations. Atlanta, Georgia; updated November 22, 2016. Klein, N. Licensed pertussis vaccines in the United States. Hum Vaccine Immunother. 2014; 10(9):2684-90. DOI: 10.4161/hv.29576.